King George V died peacefully in his sleep tonight at Sandringham House in Norfolk. He was 70 years old. The King died five minutes before midnight. His wife, Queen Mary and his children, with the exception of the Duke of Gloucester, who is himself ill in London, were at his bedside as his "life ebbed away." His doctors state that he was never in pain, and throughout "the last twelve hours his strength slowly failed until he fell asleep." The King's lifelong friend, the Archbishop of Canterbury "shared this last vigil with the royal family," and gave the monarch a "last blessing." Within minutes of the king's death, the Secretary of State for Home Affairs Sir John Simon telephone the Prime Minister Stanley Baldwin. The news was then flashed to the "whole world." The official announcement read: "Death came peacefully to the King at 11:55 o'clock tonight in the presence of Her Majesty the Queen, the Prince of Wales, the Duke of York, the Princess Royal and the Duke and Duchess of Kent." The announcement was signed by the king's three doctors Frederic Willans, Stanley Hewitt and Dawson of Penn. Queen Mary had maintained a "constant watch both day and night" in a room adjoining the King's bedroom. She was persuaded to have some food. Then she joined her family at the king's bedside, and when the end came, "the iron self-control she had kept through the long, anxious days broke down at last." According to a witness, Queen Mary turned to her eldest son, the new king, and "they exchanged an affectionate embrace." Parliament will convene tomorrow, as required by law, "without summons whenever a sovereign dies." The news of the king's death will be announced by the Home Secretary from the Treasury bench. Another session of Parliament will follow where all members of Parliament will "take the oath of allegiance to the new sovereign." King George V's body will lie in state in Westminster Hall, where the British people will have their opportunity to pay their respects before the body is taken to Windsor for burial. From now until the King's funeral, all of Britain will be in mourning. Theaters, movies and other places of entertainment will be closed. Broadcasting programs have been canceled, and "wireless announcements will be confined to weather and shipping forecasts, gale warnings and statements and news bearing on the situation the King's death has created." Although it has not been announced, it is expected that the new King, who is unmarried, will be known as King Edward VIII. King George V was the second son of King Edward VII and Queen Alexandra. He became second in line to the throne following the death of his brother, Albert Victor, the Duke of Clarence, who died on January 14, 1892, at the age of 28. He succeeded his father as King on May 6, 1910. Albert Victor was engaged to marry Princess Victoria Mary of Teck. Queen Victoria was fond of Princess May, and encouraged Prince George, who was created Duke of York on May 24, 1892, to get to know May. They were married on July 6, 1893. 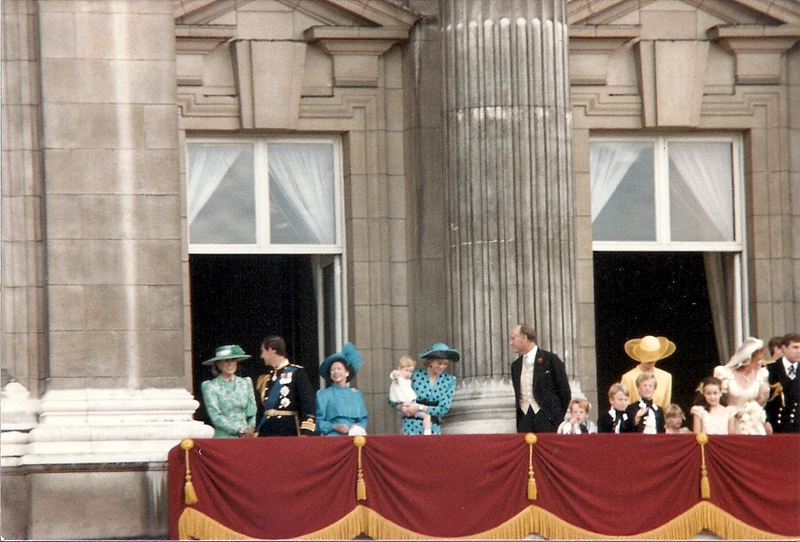 King George V is survived by his wife, Queen Mary, four sons, Edward, the Prince of Wales, Prince Albert, the Duke of York, Henry, the Duke of Gloucester, Prince George, the Duke of Kent, and one daughter, Princess Mary, the Princess Royal, and five grandchildren: Princess Elizabeth and Princess Margaret Rose of York, Prince Edward of Kent, George, Viscount Lascelles, and the Hon. Gerald Lascelles.